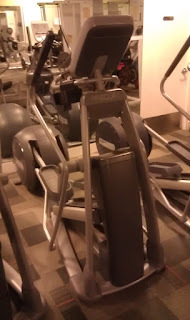 I remember my first time running on the elliptical. It was back in 2006 and I hadn't learned to trust my body yet. 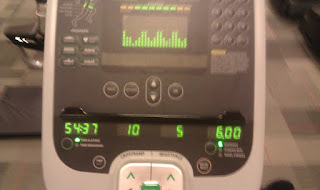 16 minutes later, I had run just one mile. My brain was trying to control the process. My brain was saying "But you've never done this before, so it can't be done." In my panic, I let the lactic acid buildup discourage me. I used more of my breath to say "I can't" than to say "I can." But my body was wiser. With each mile, my body said "this isn't too bad." My body went from merely being able to do it, but wanting to run. My body wanted to go further. My body wanted to faster. And so I released the emergency brake in my brain. And I ran further. I ran faster. I've completed a few half-marathons on that elliptical pictured above (I nicknamed her "My cruel Mistress"). Two weeks ago I thought I had done the unthinkable -- I ran SIX sub-10 minute miles in a row. I set a new personal record for myself. I was fast. But what followed was frustration. My body needed to recover after that. It went from fast to unbearably slow. Discouragingly slow. 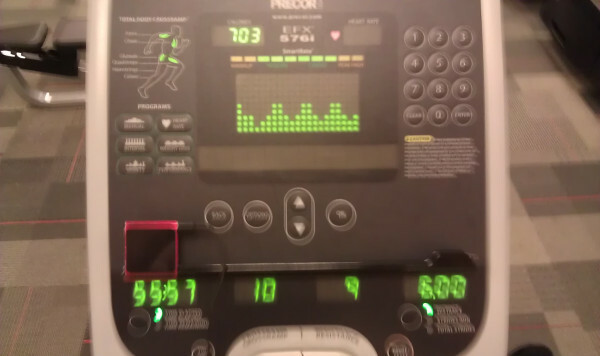 Back to 11-minute miles. One day was even closer to 12-minute miles. "A slow run is better than a fast sit. 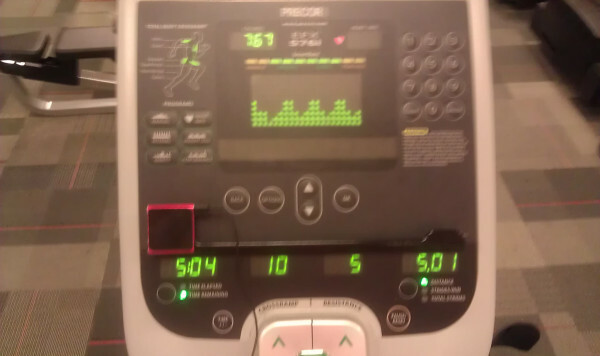 I am displeased by this considering my awesome run on tuesday. 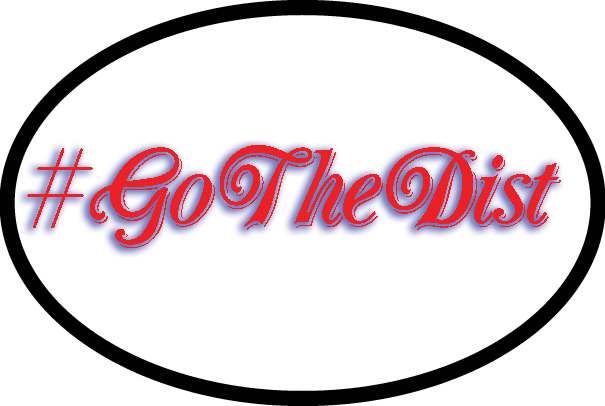 #gothedist"
I started talking smack to the same body that had just done something amazing. And I was wrong to do so. I mean it's wrong to ever talk smack about your own body, but it's doubly wrong to be so short-sighted. My body isn't a machine. And heck, even machines cannot always run at their fastest speed all the time. I needed to change the dialogue -- I needed to remind myself that exercise should be joyful and that I am truly thankful for every day I get to run. And once again, when my brain got out of the way, my body responded. That's right, I shaved a 1 minute and 20 seconds off my PR. More than that -- I was 37 seconds away from 9-minute miles. You are awesome! Great job! Hi, I've just discovered your blog while looking for people to motivate me to run. I'm big but I love to run even though I have to take walk breaks still. This post is such an inspiration to me. This morning I attempted (and was convinced I could)to run a full mile. Halfway though I caved and had to walk- but hey I'm halfway there! When you said "My brain was saying "But you've never done this before, so it can't be done." it really struck a chord. That's what I have been telling myself. I'm hoping that identifying my self negativity will have a positive impact. Thanks to you!! Laura -- I hope you start listening more to the voice that says you CAN do it.